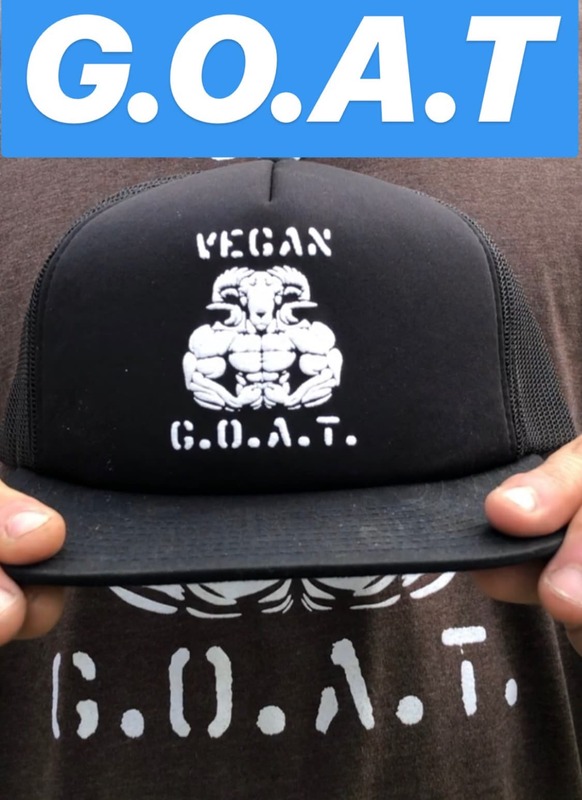 Vegan G.O.A.T hat- Greatest Of All Time! 10% of profits are donated to animal sanctuaries in need monthly. Vegan G.O.A.T hat- Greatest Of All Time! The logo pops off of the hat with a special puff ink and has a 3d look to it.